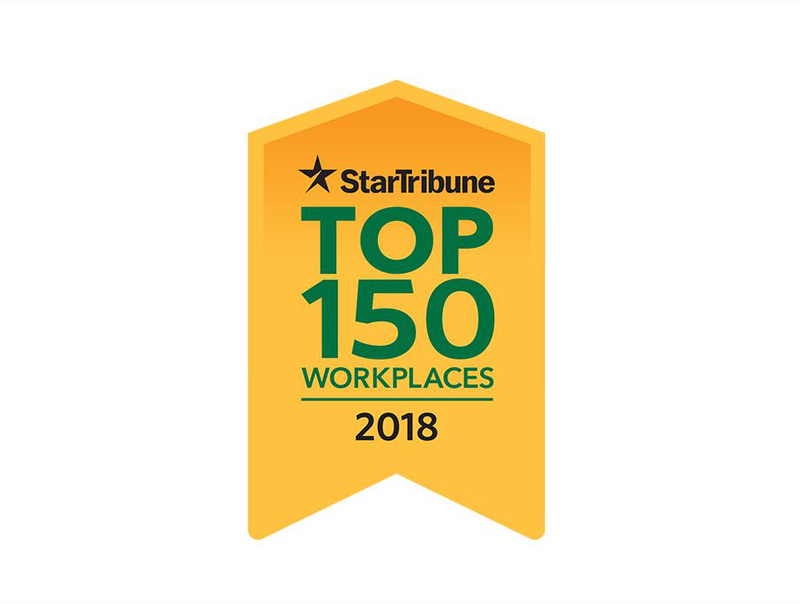 MG McGrath has been named one of the Top 150 Workplaces in Minnesota again by the Star Tribune! This is an honor for MG McGrath and all of our employees who helped make this happen. MG McGrath is an award-winning leader in the architectural surfaces and glass and glazing industry; featuring the latest equipment, tools, technology, and a 100,000 square foot custom manufacturing facility to provide unprecedented creative solutions in architectural fabrication and installation on commercial and industrial projects.